Come and experience our two new and luxuriously appointed holiday villas that can each accommodate 1 to 8 people. 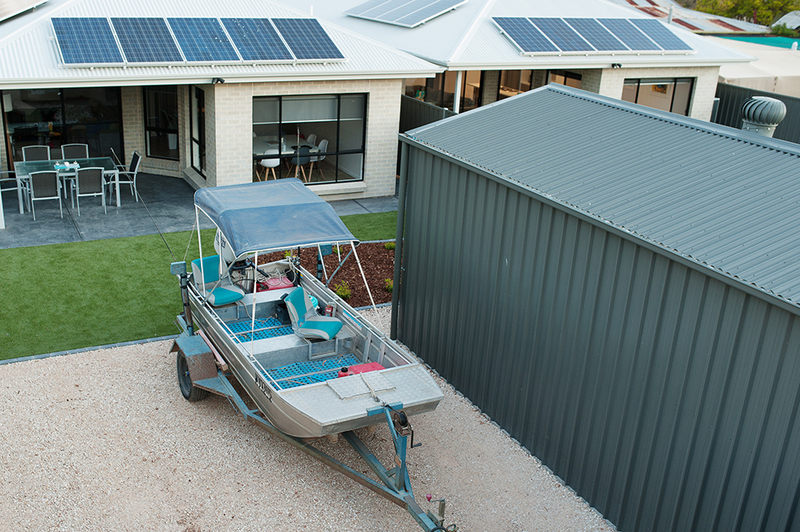 Situated only 40 metres from the River Murray and owner-operated moored houseboat accommodation “Boats and Bedzzz” – all only a 5 minute riverfront stroll to the Renmark Town Centre. Each villa has a fully equipped kitchen and undercover alfresco area with bbq, overlooking the private enclosed rear yard. Villa B has a private 7 x 4m in-ground swimming pool leading out from the alfresco area. If catering for a large group between the two villas, gate access to the pool is available for Villa A. Each villa had 3 bedrooms (one with King bed, two with queen beds and 2 roll out single trundle beds) and all beds can be split into singles if required. All linen supplied. Master bedroom has an ensuite and walk in robe and a second bathroom is available for other guests. 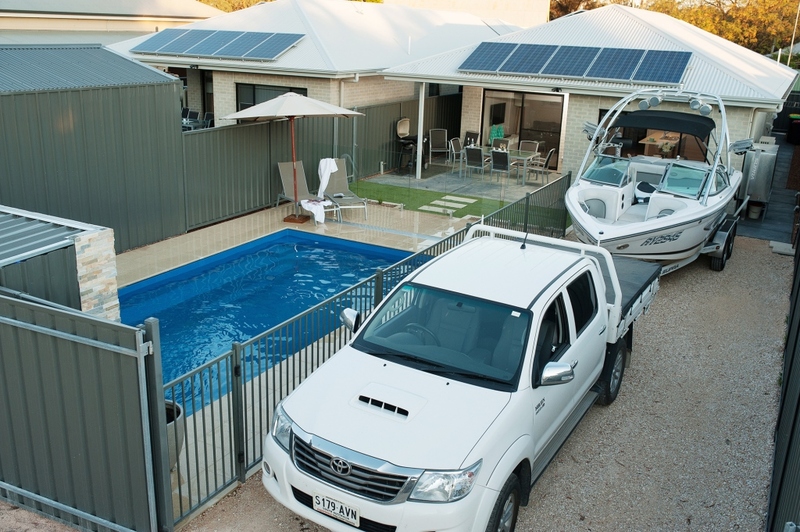 Secure undercover parking for one car in each villa and secure parking in the rear yard for a second car and/or boat (accessible from the rear laneway). 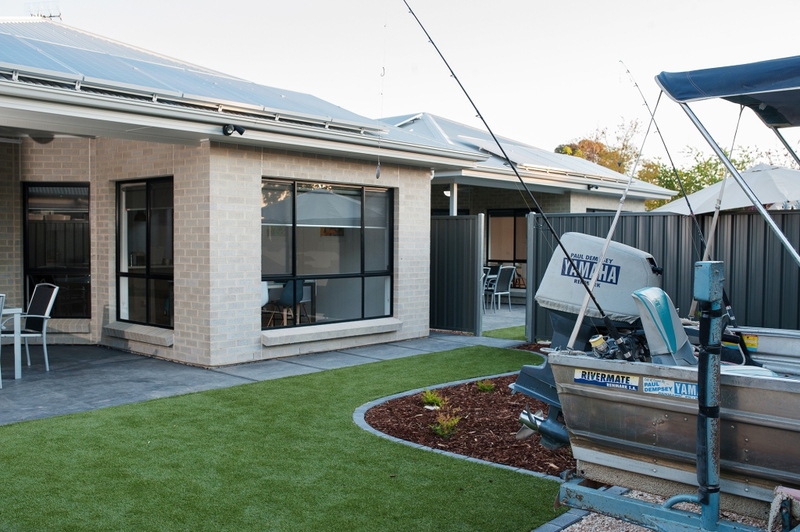 TV’s are located in the main living area and each bedroom to keep everyone entertained as well as reverse cycle airconditioning to provide comfort all year round. Office reception is located next door to the villas at 42 James Avenue. Our rates are affordable and are charged on a per person basis. 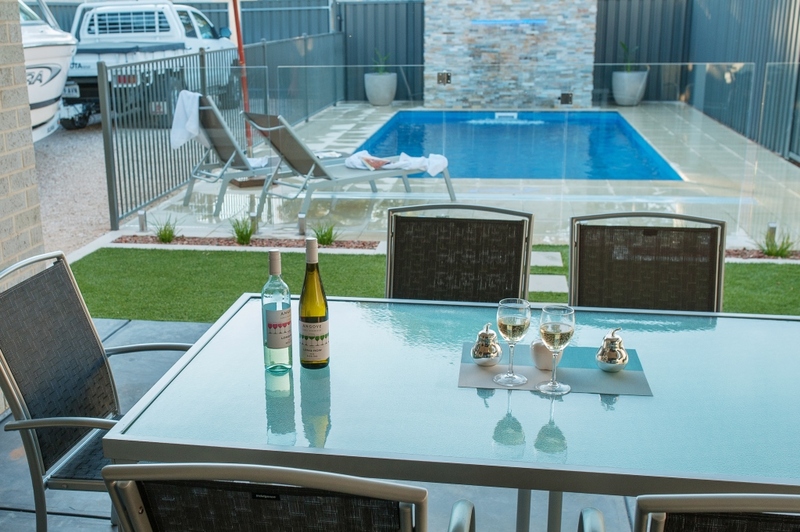 On top of all that, the villas are modern, spacious and fully self contained – extra features that form part of our aim to provide you an easy and relaxing getaway for your next well deserved holiday! 3 bedrooms in each Villa and all beds can split into singles. Prices are based on one king or queen bed with 2 adults. *Rates are based on 1 couple occupying one bed and includes linen. 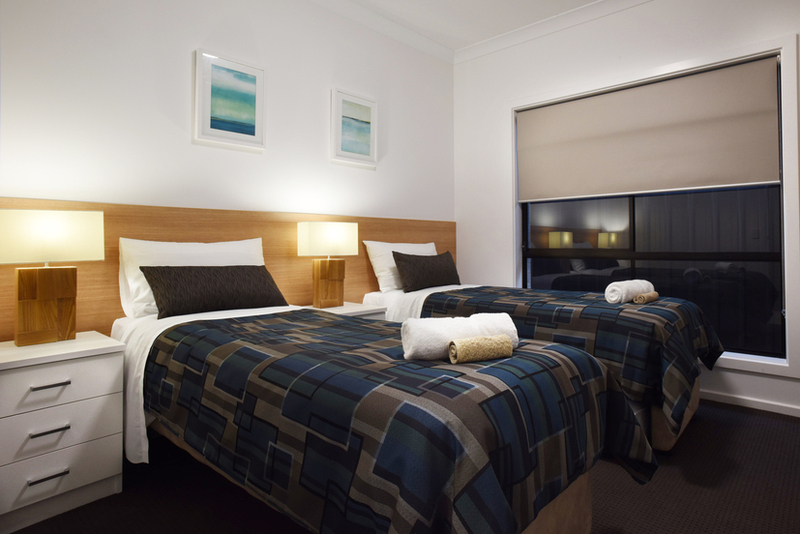 If all people as part of the booking require separate bedrooms, additional charges apply. Additional bedrooms are an extra $60/adult per night and $30/child per night (under 16 years at time of stay). Prices valid up to 31st December 2019. Higher rates and additional minimum nights apply for peak periods (eg long weekends, school holidays, Easter, special events). Please view these rates and minimum nights through the 'Book Now' button or contact us directly for rates. Additional bedrooms are an extra $50/adult per night and $25/child per night (under 16 years at time of stay). A charge of $40/bed is required to split bed into singles.